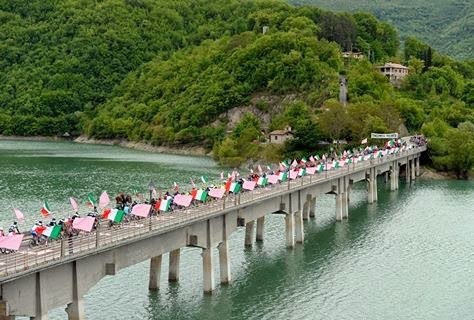 Second rest day at the Giro today, and high praise goes to the riders, organization and fans for putting on an exciting race. 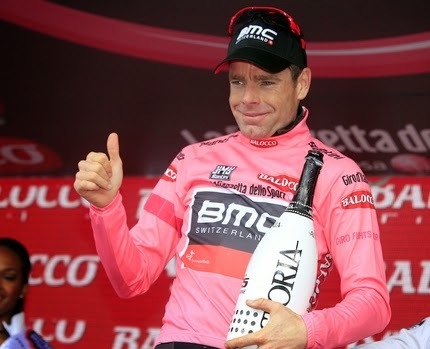 Notably, Orica GreenEdge stands out winning 3 stages and giving riders the coveted maglia rosa: Svein Tuft and Michael Matthews. There's a good atmosphere in the team, anything we do now is something extra it seems. We had a perfect Giro so far, when you have a good start in a stage race like this, there's not pressure anymore and it works out perfectly. 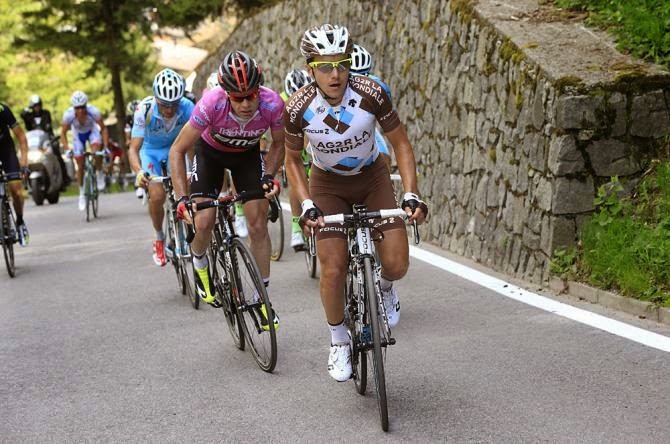 The Flea bounding in the Giro di Trentino. 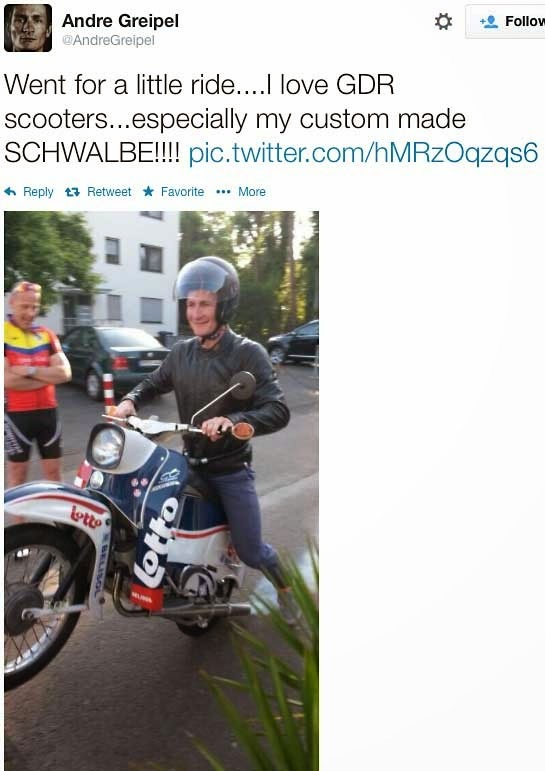 According to Robert Millar, the Italian press love to give riders' nicknames and gave one to Domenico Pozzovivio . The climber is baptized 'il lupo dei Jonio' - the wolf of the Ionian Sea and 'Pulce di Policoro' the flea from Policoro. I like the Flea nickname. Apparently, Pozzovivo doesn't and made it cleared to Gazzetta dello Sport that he prefers a different nickname. Here's the original rider that was nicknamed, 'The Torrelavega Flea'... Vicente Trueba - adept at bounding up mountain cols like a flea - exactly like Pozzovivio. 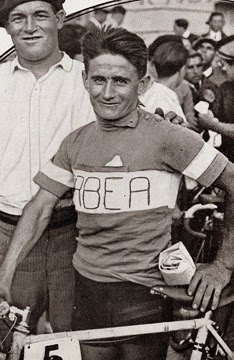 Vincente Trueba was sixth overall in the 1933 Tour de France and ...first winner of the grand prix de la montagne! What does The Gorilla do to relax?